St Ives Bay is visited by vast shoals of Mackerel moving to the natural flow of the ebbing and flooding tides. 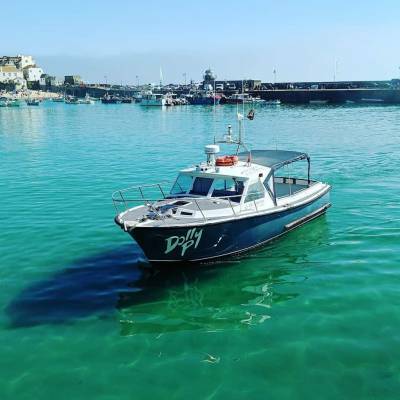 Our favoured spots off Porthmeor Beach or The Island offer a great opportunity to experience sea fishing in a rich environment and you can keep what you catch so make sure your recipes are ready! Along the way keep lookout for other local wildlife. Dolphin sightings have become more frequent as both common and bottlenose dolphins pass the bay. A wide array of sea birds are seen and less often sharks and even whales are spotted. The one and a half hour trip includes all equipment. The trip is £20 per person. 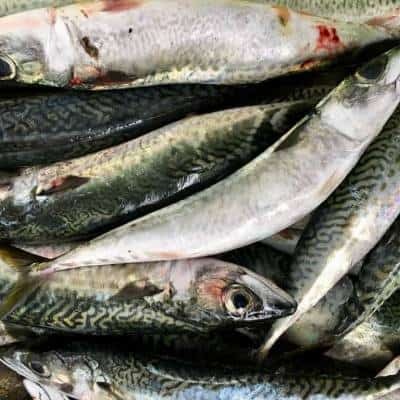 Mackerel is an oily fish, high in Omega 3 and Vitamin B12. 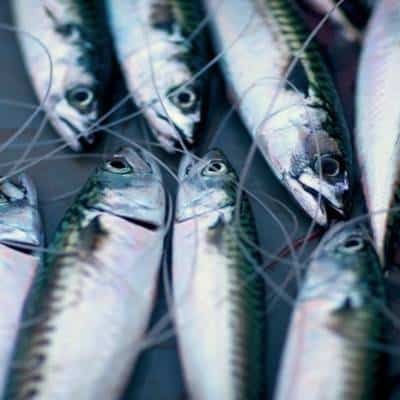 Easy to cook, Mackerel can be barbecued, grilled, fried, poached or oven-baked. Mackerel with it’s unique strong taste makes a healthy, tasty, appetising meal.